Modern kitchen cabinets are very popular. The kitchen doesn’t need to look dull and boring or serve its function and nothing else. Any quality contemporary kitchens can enhance your home and make your neighbors to envy kitchen. Choosing a contemporary style will give you that asymmetric, geometric, minimalist look that is the hallmark of cutting-edge modern kitchens. Most contemporary kitchens catch your eye immediately with their modern kitchen cabinets. 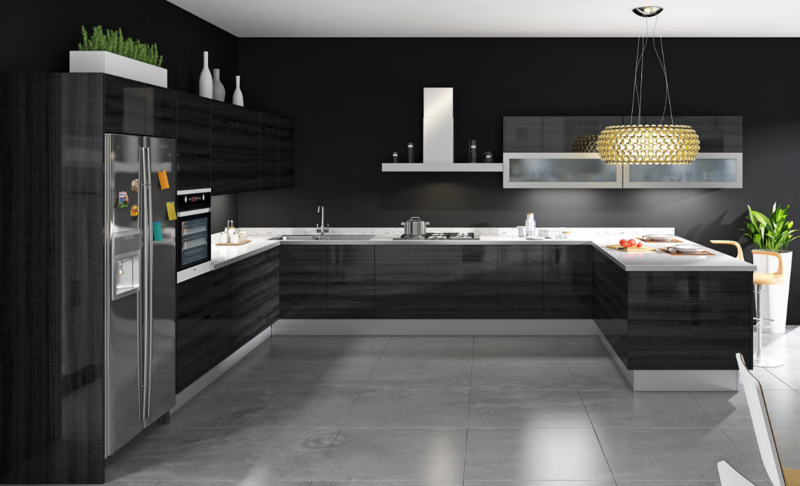 Modern kitchens tend to feature clean, minimalist cabinets that have a frameless construction. Doors with a high-gloss finish are a great way to complete the look and get that smooth, expansive, bright feel that the best modern kitchens have. The design of contemporary kitchen cabinets is an important contributor to the overall design of your kitchen. The design and color combination of the kitchen drawers or cabinets affect the overall appeal of the kitchen. Making minor changes to your contemporary kitchen cabinets such as repainting them or refacing them can often lift up the mood of the kitchen and make it look better. See more photos of modern kitchen cabinets. However, if you finally plan on redesigning your contemporary kitchen cabinet and are not too confident about your designing and furniture planning skills, you should contact a professional design center. There are a large number of designers and companies specialize in contemporary kitchen designing and will ensure that you have the well-planned kitchen you always wanted. Supreme International USA has professional team of designer who can help you choose the best design and style. Stop by our showroom to see over 200 brands in one place.